An interstate move is a job that requires a big effort. Interstate movers Florida are there to help you conduct your cross country relocation. Still, be careful about every step you take. Someone looking as a high-qualified Florida interstate moving professional could be a thief looking to rob you the moment you relax. So don’t relax. At least until your interstate move is over. And pay your full attention when hiring a Florida interstate moving company. If you get sloppy, you can make the biggest mistake of your life. Losing everything you own. Think about the stake, and get the picture why the moving companies for your Florida cross country move should be reputable and reliable interstate movers in Florida. Every now and then people in Miami migrate. This is why the matter of hiring professional moving companies Miami comes on the table. So many people claim that it is possible to conduct the relocation all by yourself. And we cannot say that it is completely impossible. Although, it is difficult to move in Florida all by yourself, and avoid all the troubles standing on your way. Especially when moving interstate. No matter moving interstate to Florida, or making a cross-country move outside of Sunshine state. The experience: We have conducted many cross-country relocations. Hence we are interstate movers Florida you want to hire. Adequate equipment: As cross-country movers in Florida, we are completely equipped for your safe Florida interstate relocation. Qualified staff: Our staff is kind and polite, with the full expertise in Florida countrywide moving. Top moving services: We provide the variety of top-quality moving services for your interstate relocation to or outside of Sunshine state. We do not claim that you cannot find a young and inexperienced Florida’s interstate moving company to conduct your cross-country relocation properly. You certainly can. But the odds are not that much on your side. We only claim that, if you choose the experienced interstate home moving professionals in Florida, with the license and good reviews, of course, you almost cannot be wrong. This is why we emphasize the experience the Orange Movers Miami team of cross-country moving experts has. We conducted hundreds of interstate relocations to and outside of Florida in years behind us. Such as moving from New York to Florida. Doing that, you can be sure our Florida interstate professional movers met all kinds of troubles. And we managed to solve them. Now, when the problem during a countrywide relocation arises, we have the experience and the knowledge to solve it. And, more important, we have the experience what to expect and how to prevent the major difficulties that could stand in our way when making a Florida interstate move. Choosing to make a cross-country move hiring Florida interstate movers and packers from Orange Movers Miami, you are making the right choice in terms of safety and speed of your relocation. The greatest news is that you get professional Florida cross-country movers at an affordable price! And we know that. That is why Orange Movers Miami are equipped with modern moving trucks. Our workers have the equipment carefully chosen to keep them and you safe from potential injuries. Our interstate movers Florida company strives to keep you, your family and your belongings safe during all the relocation. Regardless if your interstate move starts or ends in Florida. We have moved people everywhere around the country. Hence, we know what special equipment, necessary documentation etc. we might be needing during your interstate move. Besides the moving truck and our workers’ equipment, we also have the equipment for the packing. All the packing supplies you might need, we have them. Therefore, if you want us to do the packing part of your relocation, have no fear that it will not be done properly. Every piece of your items will be completely protected from breaking and damaging during the transportation. That is why it is important to have qualified workers employed in the Florida moving company you would hire for international relocation. Orange Movers Miami has been dedicated to employing only the best interstate movers Florida since the very beginning. Because of this, we earned a good reputation from the start. This is not where we plan to stop. Our goal is to make your cross-country moving to Florida, or outside of Sunshine state, an exciting experience. Removing all the stress coming with every relocation, especially with the interstate one. So we look not only to fulfill your requirements and to respect the deal we make to every single detail. But we are looking to exceed your expectations. And our professional staff specialized in the cross country moving is there to help you with everything you might need. We are proud that the most of the people choosing to hire us for their interstate relocations in Florida praise our employees. This means to us for two reasons. First, we know that not only that the countrywide relocations are conducted with no mistakes. But also that people moving interstate to or out of Florida felt comfortable during the process. This is what matters the most. And that is why we continue to keep our employees satisfied. Indirectly influencing your satisfaction during every interstate move you undertake. Offering you a possibility of safe international moving on a budget. Given that Orange Movers Miami has the goal to become the best interstate movers in South Florida, we must offer top-quality moving services. And we do. You can check that whenever you like. Contact us and check everything: The licensing, the equipment or the services we provide. We will be more than happy to let you enter the team of satisfied customers who moved interstate using the moving services of Orange Movers Miami. Top interstate movers Florida take care of everything. That is why Orange Movers Miami, striving to become the best interstate movers in Florida offer you help with packing and unpackingWe know how hard it can be to pack some items. To disassemble and reassemble furniture and appliances. Our experience learned us that people hardly can stand after the long day of Florida international move. So the most of you will not have the strength to unpack. This is why as interstate movers Florida we offer both, packing and unpacking services. To make your cross-country Florida move as comfortable as possible. In no way could you call us interstate movers Florida, if we were not capable of transporting you and your belongings a long distance. Hence, we invest very much in our moving vehicles and in our personnel driving them. So you would feel comfortable being transported, and knowing that your belongings are safe in our interstate moving vehicles. For those of you owning a piano, all of the best Florida interstate moving company have piano moving experts. We know this and that is why we employ Florida piano moving professionals from the start. And we also have the equipment to protect your piano. Not only from outside. We take care very much to secure the inner elements of your piano for interstate transportation. Because the main elements of the piano are inside of it. And the minor accident could make a major trouble with the sound of it. Knowing this, we always make a good plan for the interstate move of your piano. Preventing all the troubles that could appear. That is the only right way of how piano interstate movers Florida should do their job. Moving fine art is always a special challenge. Especially if we are talking about moving fine art interstate. The longer the transportation, the bigger the possibility of something going wrong. Because of this, you should hire only professional Florida fine art movers for interstate relocation. And that is where Orange Movers Miami jump in. We have the trained personnel, we have the equipment and we have the experience in fine art Florida interstate relocation. While making an interstate move, you might have a need to store your items for some time. Until your new home gets fully prepared for moving in. This is why we offer you Florida storage units. It does not matter if you need to store your belongings for short period or a long term. We offer different options you can choose from. We, as interstate movers in Florida, are here to make your moving easier. Use all the options you have, and we will be happy to see a smile on your face while processing one of the most stressful situations in your life– the Florida interstate relocation. We all know how difficult even simple life becomes when people get old. How much do you think it is difficult for older people to move, and not a short distance, but interstate! Our understanding of this problem made us create several programs of interstate moving for senior citizens you can opt from. Call us and find out what do you get if you hire Orange Movers Miami to help your senior citizens relocate interstate. Any long distance or interstate move from Florida can be tricky, especially the longer ones. Traffic, road restrictions, tolls and other vehicular hazards make driving a moving truck here an immense challenge – particularly with hundreds of miles behind or ahead of you. Let us handle it while you concentrate on your family or business; our relocation experts will take care of the rest! You’re finally opening your office – or perhaps your company has grown so successful and you need to move to an office in a different state. Don’t trust your company’s fortunes to a lesser moving company. We have the experience, professionalism and critical knowledge to move your office, corporate HQ, laboratory, library or warehouse with the shortest possible down time! Moving that piano over such a great distance requires professional-grade strength; moving that prized wine collection hundreds of miles necessitates exceptional skill; moving the contents of that entire warehouse over any distance is not a job for some fly-by-night firm. We’ve perfected the specialty relocation – call us today and let’s get a move on! 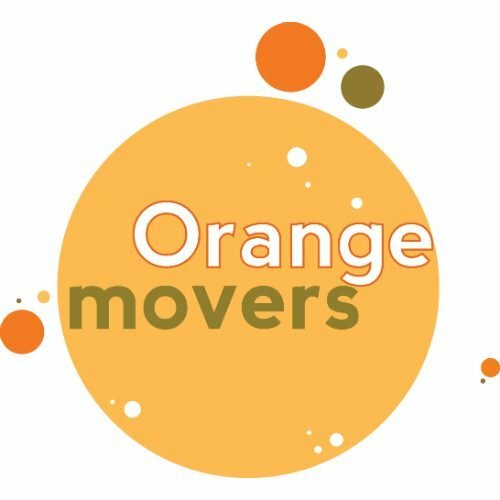 Orange Movers are one of the leading moving and storage companies in South Florida. All our movers are superbly trained and use the latest state of the art packing techniques and biodegradable materials. We work with cutting edge equipment and knowledge to move almost anything safely and efficiently. Our commitment is for customer satisfaction. Over 60% of our clientele are repeat and referral clients. Our reputation precedes us. Interstate moving can be very stressful. So don’t settle for less! Our specialized trained team will help you build a step by step plan that will help reduce the stress and make the whole entire process go smooth and quick. Our trucks are full of gas and ready to go. We have the years of experience to make your move as best as can be and we will get you to your new home safely and stress free. We also know how to stretch your budget. So make the right decision and give us a call now to speak to one of our moving coordinators. You want to choose a full service company that will provide you with a secure move and affordable pricing. You will want the company to arrive with the latest moving equipment available, trained staff and nationwide resources. We have the capabilities of moving your goods to any place in the country and also take care of storage for you. We are 100% committed to ensure you a successful transition. Our top-notch equipment includes air ride equipped trucks with climate control vans assuring that your goods are delivered safely. Our experience has taught us how to plan for every little thing along the way and make sure that everything is done perfectly. We are efficient, knowledgeable, caring and perfectionists when it comes to your goods. If you are looking for professional interstate movers, you have come to the right place! We will get you to your new location quickly, professionally, safely and in an extremely organized fashion. Our interstate staff is highly trained and we provide the best matched resources to the job at hand. From the packing of the first box, we will be with you to coordinate and supervise to ensure a successful transition. We will go to great lengths to ensure that you have a low stress and efficient move. No matter what items you need moved or how fast it needs to be done, we will find the right way to do it. Your satisfaction is our main concern. Our services, staff, and resources are the best, ensuring that your items get delivered in perfect condition and in a timely manner. Long distance relocation is not easy but getting a fast quote is. Check out our moving calculator and you’ll be surprised by how affordable our fantastic services actually are.